Weekday mornings can become chaotic really quickly! Trying to get everyone ready to start the day, eat breakfast, get dressed, make lunches or snacks, and pack bags can be quite difficult! We prefer to stay up late and sleep in, but let’s be honest, that rarely happens with young kids and work/school schedules. The reality is if we don’t have a game plan for the morning things can go downhill pretty quickly. It’s so important to start the day off on the right foot. Simple tweaks to your schedule can help you create an easy morning routine for your family! Look at the weather for the week ahead so that you can make appropriate clothing choices each day for your kids. If your child is old enough, involve them in choosing outfits. This will help with their buy-in the morning of and increases their decision-making skills. Next, fold the clothes in a pile for each day of the week. Make sure you include underwear, socks, belts and accessories as needed. 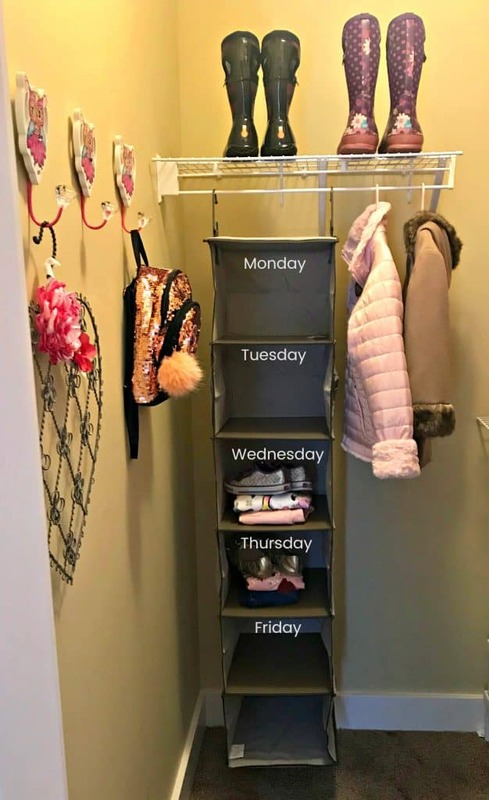 Use a hanging shelf divider, you can purchase from Wal-Mart for about $10, to sort your kid’s clothes by day. No matter who is responsible for getting the kids dressed on any given morning, everyone can know the process and be on the same page. With this method, there’s no confusion on the morning of and everyone knows where to find the outfit for the day. 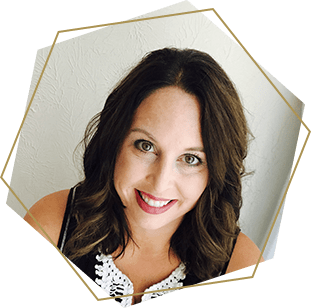 Create a game plan with your spouse regarding kids activities, important meetings/appointments, and the carpool schedule. It also helps to review these briefly the night before, to refresh your memory of the game plan. By ensuring advance communication, you minimize the mental to-do list before you head out the door. Another way you can create an easy morning routine for your family is to make breakfast in advance. 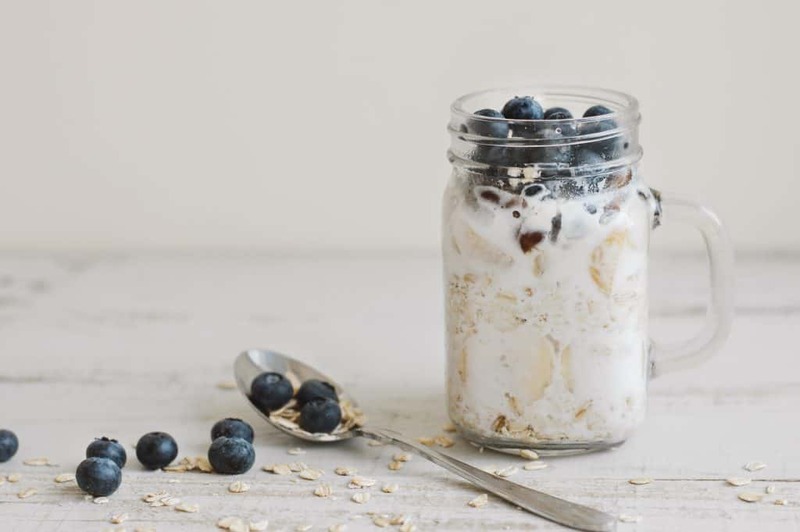 Overnight oats are a great option. Eggcups are another option. Even a breakfast casserole can be made in advance and reheated the morning of. You can do some of these things on the weekend for the week ahead or the night before. If your kids take snacks to school you can go ahead and prep some items. Wash fruit and vegetables ahead of time so that you can easily package. Slice vegetables like bell peppers. Have easy things like to-go guacamole or hummus. Create small packages of goldfish or cheerios. For parents, you can make a salad in a jar and have several days prepped in advance. Get all of the bags ready for the morning the night before. Make sure you pack any homework assignments, books that need to be returned, and things for kids activities the next day. Don’t forget about mom and dad. Get your things together too, so that you don’t forget anything if you’re in a rush to get out the door. Finally, make sure you place everything in the same place every night to make for an easy morning routine for your family. I know, I know…I don’t love the idea of this either, but did you know, there are actually many benefits to waking up early. Research shows your more productive, have better mental health, and better willpower and control to name a few. Even Ben Franklin said, “Early to bed, early to rise, makes a man healthy, wealthy and wise.” Try waking up an extra 15-30 minutes before your kids. I find on our busiest mornings, this helps me to get my act together before I throw managing kids into the mix. Another way to create an easy morning routine for your family is to make the kids responsible. There is a beautiful thing that happens; as kids get older…they can do things for themselves! Take advantage of this! Empower them to run their own morning routine. 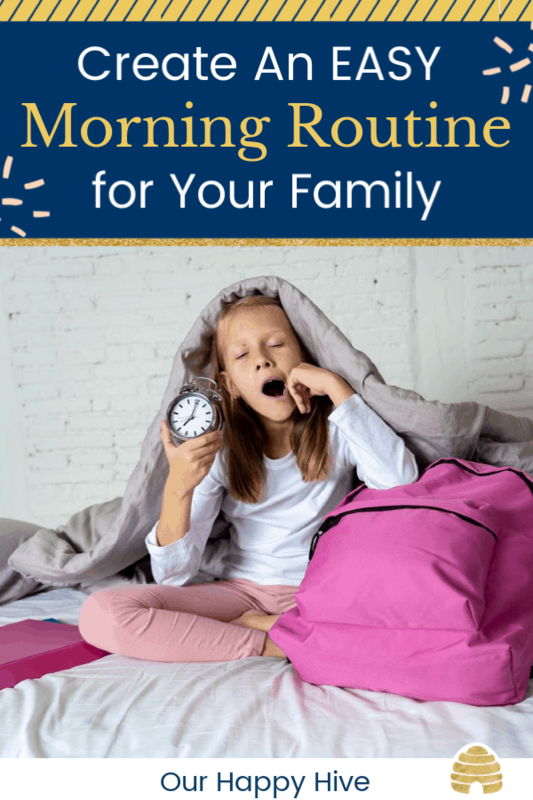 If they are young and can’t read yet, download my free Morning Routine Chart that includes pictures to help even the youngest child follow along. Ok, this one may not sound important, but let me tell you, as someone who has been waylaid many times by this unforeseen obstacle- this is one you need to pay attention to. Do not turn on the TV for the kids while they eat breakfast. They will more than likely get sucked into the television program and finishing breakfast will take a ton of time. Put on a timer with a reasonable amount of time 15-20 minutes max. This will again empower your kids to be in control and ultimately learn to make choices with how they spend their time. My last and most favorite step in creating an easy morning routine for your family is to make yourself a coffee or latte! 🙂 In my honest opinion, caffeine always helps! Weekday mornings don’t have to be hectic. Planning ahead is critical. Making the most of your weekend and evenings can make all the difference to a morning. Empowering your kids and giving them responsibilities helps lighten the load for mom and dad. Removing distractions like the TV helps everyone stay focused. Last, but not least, grabbing a “Cup of Joe” before you walk out the door can be your little reward for creating an easy morning routine for your family. Great tips! 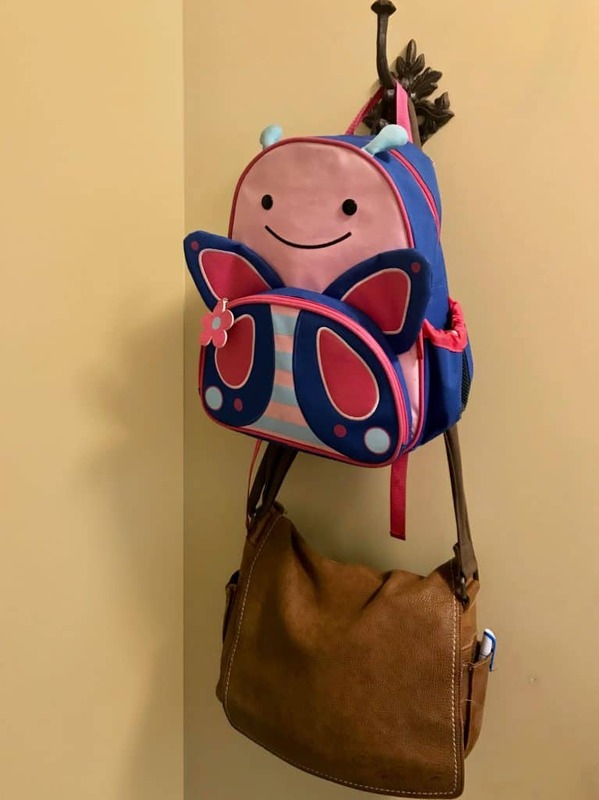 We’ve been getting the week’s clothes ready every Sunday and following a morning routine for the past year but as our oldest is starting Kindergarten this year we need to expand our easy mornings by doing some of these tips. Prepping breakfast and lunch and getting the backpack all ready the night before will be crucial for a smoother sailing morning. Thanks for the tips!